Pansori used to be a commoners’ art form, but, by the late Joseon period, even the kings came to enjoy pansori so much that they would summon famous pansori singers from all over the country to perform in the royal palace. The singers who sang for the king or the royal family would be called “gukchang (국창)” or “national singers.” But there was one master singer who did not perform for the royal family yet was named a national singer and that was Lim Bang-ul (임방울), who had become famous during the Japanese colonial period. Although he was unable to sing in front of the king, he still earned the honorable title because he was recognized by the people. When the Korean War broke out, Lim, who was working in Seoul at the time, fled to his hometown of Gwangju in southern Korea. Since it was during the war, strict travel restrictions were placed, preventing Lim from moving across provincial boundaries in broad daylight. While traveling in secret to Gwangju, he encountered North Korean soldiers, but he was let go once he sang “Ssukdaemeori (쑥대머리)” for his captors. His voice must have had the power to heal the wounds of people devastated by war and move the hearts of even the most merciless soldiers. MC: That was the recording of Lim Bang-ul’s “Ssukdaemeori” made a long time ago, to which Kim Do-gyun’s band performance was added later on. 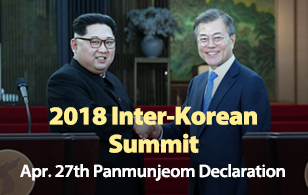 The day the Korean War broke out, June 25th 1950, is remembered in Korea every year, but this year it seems to be more meaningful as the Korean Peninsula is seeing momentous developments in its pursuit of peace. So, we picked “Imjingang River” as a song that best represents the current situation. 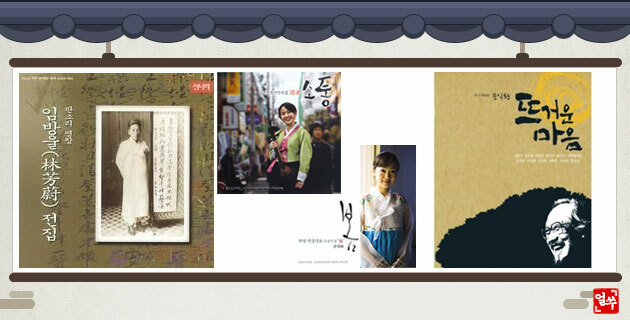 “Imjingang River” is originally a poem written by Park Se-young (박세영), a South Korean poet who defected to North Korea. He wrote this poem as he looked toward his hometown in the south, over the Imjingang River. The song, composed by Ko Jong-han, is said to have become quite popular in North Korea. However, the song was banned in North Korea later, because the words, which were mostly about how much he missed his hometown in South Korea, were perceived as anti-North Korea. Much later, Japanese writer Takeshi Matsuyama, who had been very moved when he heard North Korean students in Japan sing this song, remade this song in Japanese. He rewrote the lyrics of the second verse to express the sadness at seeing a country divided into two, and gave the song to a J-pop band to sing. The song became a hit, but once North Korea found out that its song was made popular in Japan, the regime demanded that Japan let its people know that the song was originally from North Korea and revive the original lyrics. North Korea’s demands prompted Japanese authorities to ban the song in Japan. Many years later, when the first inter-Korean summit took place in 2000, Korean singer Kim Yon-ja (김연자), who was working in Japan at the time, sang its modernized version to make it known in South Korea. The ups and downs of this song seem to mirror the tumultuous relationship between South and North Korea. MC: The Kumgangsan Music Troupe, a North Korean opera company active in Japan, performed “Imjingang River” and “Arirang.” People used to say that poems are made up of words with meaning, and songs stretch those words. Sometimes, a couple of lines in a poem are more touching than hundreds of words, and when such poems are turned into songs, they resonate long in our hearts. Whenever South and North Korea strove to make peace together, music has always been there to encourage and celebrate the endeavor. The barriers that had divided the two sides seem to have grown higher over the years, but as more and more songs and music are exchanged between South and North Korea, the emotional walls will come down and people will come to understand each other better. At the rate the peace process on the Korean Peninsula is progressing, the era when Koreans from both sides come together to achieve greater harmony and prosperity seems not too far off in the future. Let’s wrap up today’s episode with “The Demilitarized Zone,” a poem written by Moon Ik-hwan that has been musically adapted by Ryu Hyeong-seon and sung by Kim Yong-woo.